The Champlain Mill in Winooski, Mill No. 4, was completed in 1912 as part of American Woolen Company’s expansion. Built in the Italianate style with brick from Drury Brick and Tile Company of Essex Junction, it is the newest of the four textile mills at Winooski Falls. The building is 280 feet long, 100 feet wide; daylight from high side windows reached the room’s center. Wooden beams and columns saved the expense of steel and helped absorb machine vibrations. The sixth level clerestory was removed in 1980 because of stability concerns. During the early 20th century, Lewis Hine and Louis McAllister created exceptional archives of mill photographs in this area. 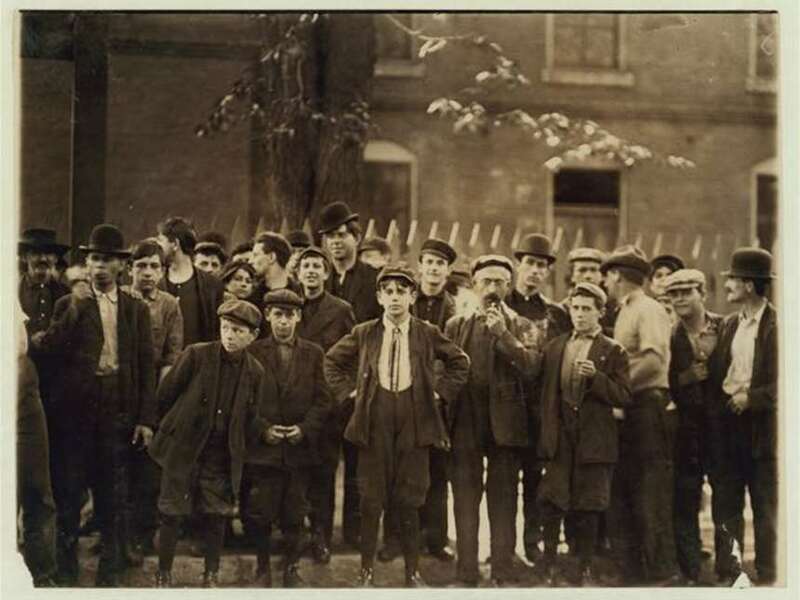 Hine, a social documentarian, recorded factory workers at Winooski Falls and other parts of Vermont c.1910-1915. His photographs helped to pass early labor laws to protect workers, especially children. McAllister, famous for his panoramas, portrayed urban landscapes as places where people worked. By 1911, electric power from the plant behind Mill No. 1 replaced two water-powered turbines and the back-up coal furnace for steam located in a one-story extension just west of this restaurant. After the destruction of the 1927 Flood, that space was rebuilt for a small dyeing operation. 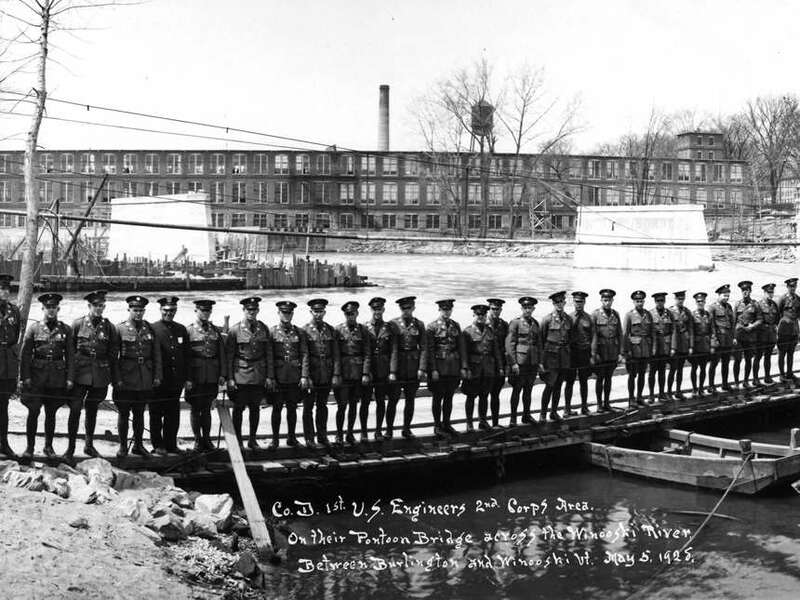 The Champlain Mill manufactured fine worsted (wool) fabric for military, police and railroad uniform cloth, men’s suiting and fashion fabrics. During World War II machines operated 24 hours a day, with 300 people leaving and coming for the 3 shift changes. The mills shut down in 1954 because of a decline in defense orders, the onset of synthetics, foreign competition and the high cost of manufacturing in northern mills. Subsequently, warehouses and small manufacturers occupied the building. The Government Urban Renewal Program bought the building in 1972. Vacant for several years, the building became derelict filled with broken glass and pigeons until renovations in 1980 transformed the interior to office space, boutique shops and dining establishments. One notable restaurant was Waterworks, located in this space. The Mill Museum opened in 1998. By early 2000, many tenants left; retailers became a part of Champlain Mill history. In 2011, My Web Grocer purchased and renovated the building, adding new windows, a new roof and their company office spaces. The Mill Museum and Winooski Historical Society Museum welcome visitors on the second level. In December of 2014, Waterworks Food + Drink opened to occupy the space of its predecessor with an updated interior, a creative New American menu and the same spectacular views of the Winooski River. References: Essays “Mill Photographers” by Jeffery Marshall and “Why the Mills Closed” by Douglas Slaybaugh from The Mills at Winooski Falls; Notes from Raymond Roy, former Champlain Mill Superintendent; Mill Museum research files.